Hi everyone! Sorry for the little break I've taken over the past couple of days. A nasty bug has been trying to take down the members of my household. So far I've avoided it, so cross your fingers for me! I recently received this amazing Nailmaster 37 piece nail art tool & brush kit from Shany, and I have been so excited to try it out. 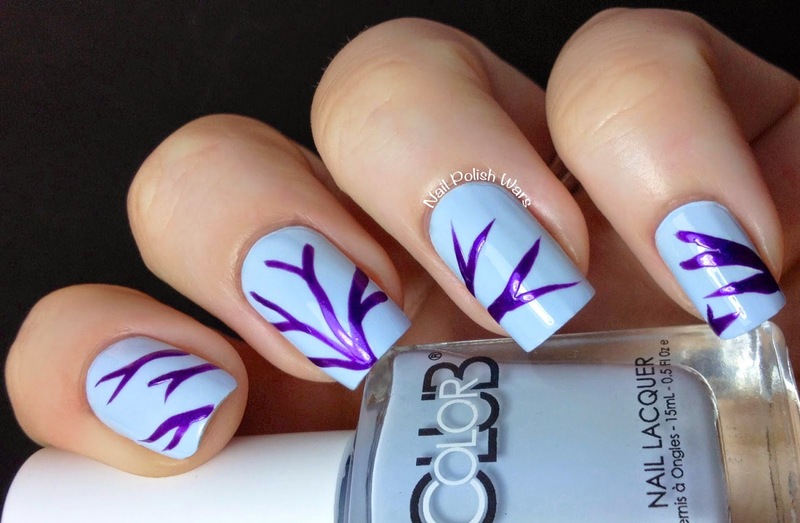 After my initial application of two coats of Color Club In De-Nile, I used one of the small striping brushes with Zoya Savita for a tree branch pattern. 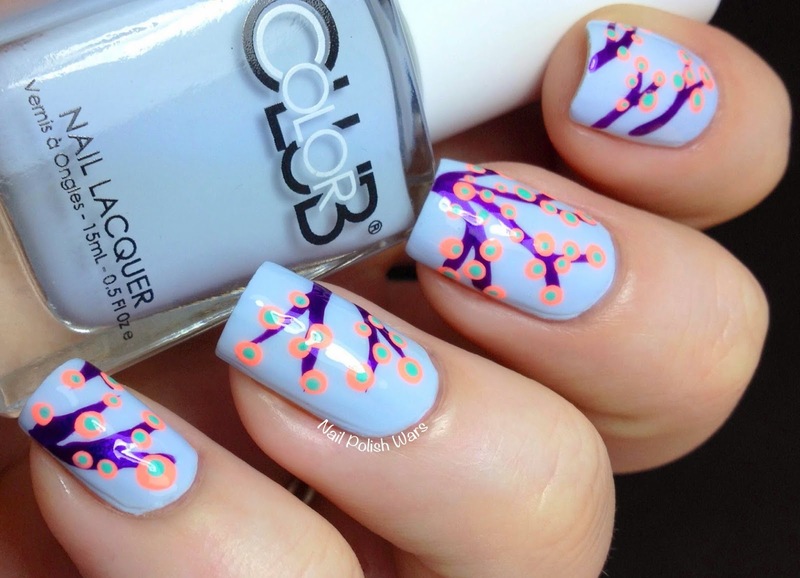 I then paired a few of the dotting tools with China Glaze Flip Flop Fantasy and added some flower buds to the branches. 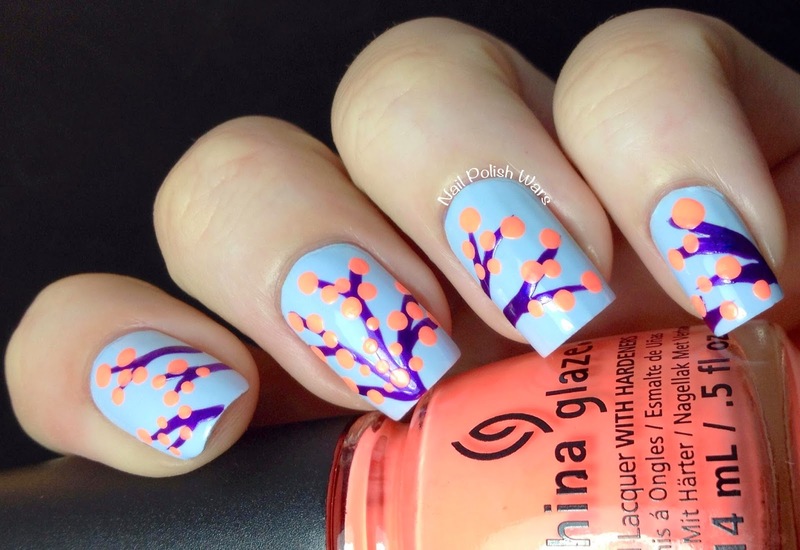 I then used the smallest dotting tools with China Glaze Too Yacht to Handle. I just adore this entire kit! 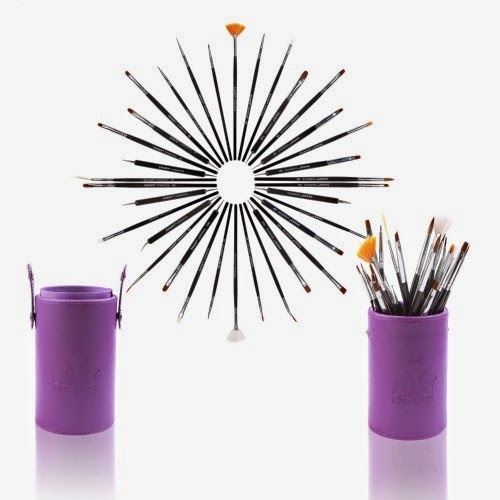 The brushes and tools were so easy to work with, and have endless possibilities for designs! You can find this kit and other great Shany nail art supplies at their storefront here, and be sure to check them out on Facebook for all of their latest updates. 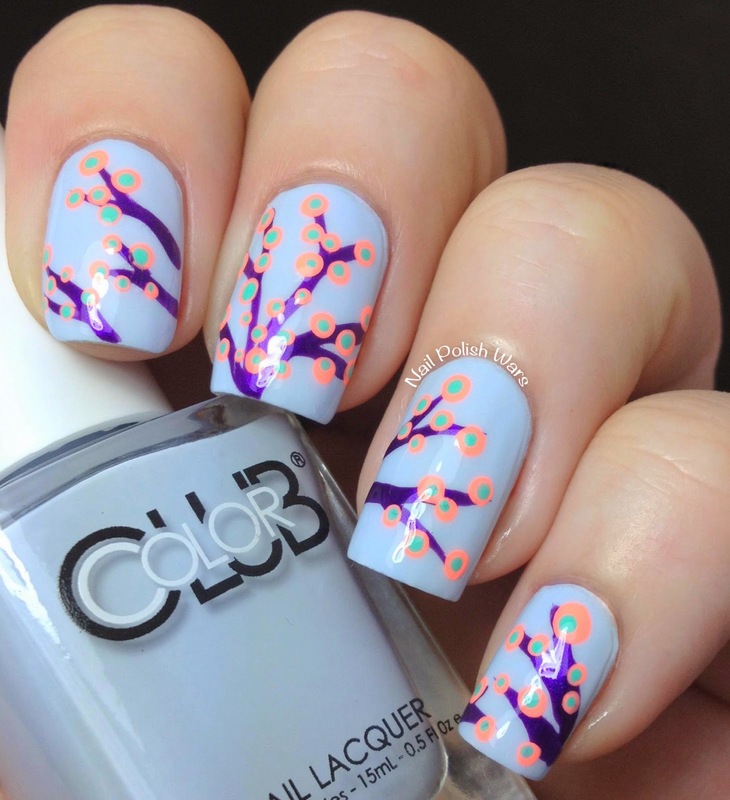 Thats a simple and nice nail art. These look so funky and unique! The colors really pop too. Gorgeous as always, Nicole, but I have to admit, the Nirvana earworm took me in, lol XD Stay well! lol, Those brushes look like a lot of fun! You made a really nice manicure. Hope your family gets better soon! so pretty! i just love the colors you used! Looks amazing! The color combo is perfect. 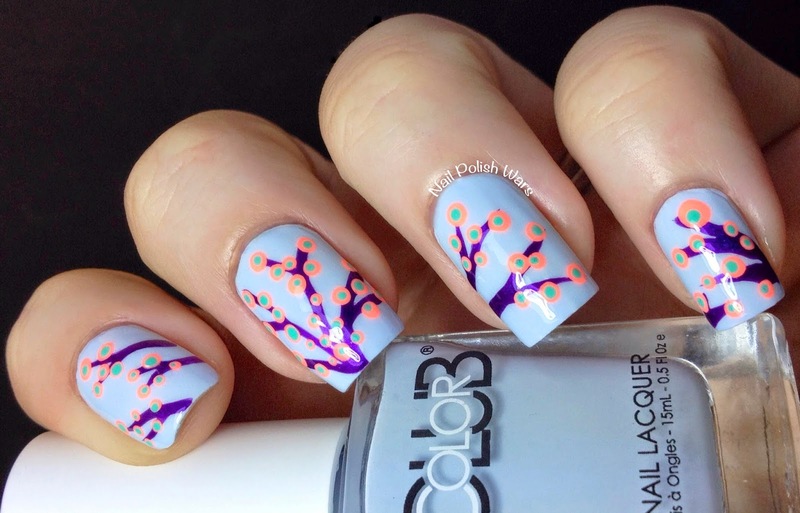 Love this design! The colors are so vivid together. The flowers are so cute!